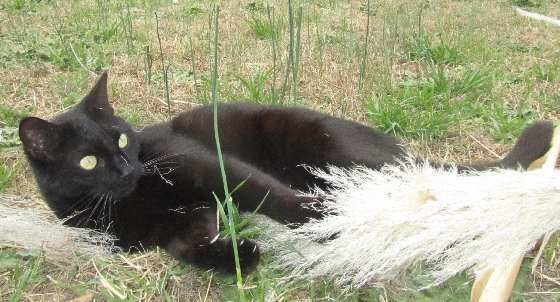 Our boy Black, loves the plumes off the Pampas Grass. They make great toys. 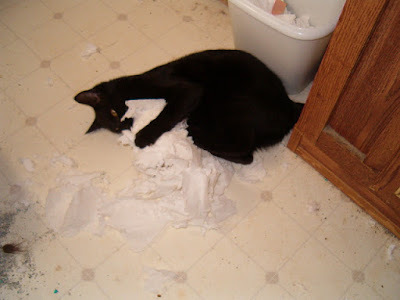 When Black was a kitten, he loved shredding the TP. Such fun. 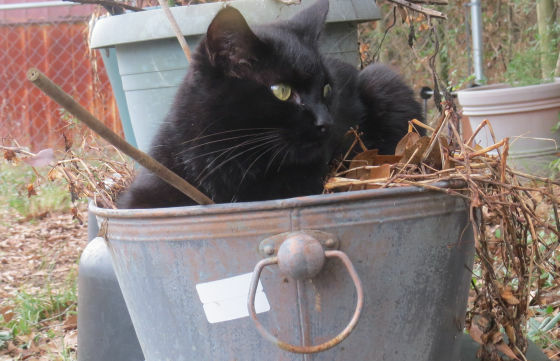 And the best napping place is right in a pot. Happy happy Friday to all. Black just wants to have fun! And there's plenty of fun to get into at Marg's menagerie. Can't beat a good TP shred, we still love to do that. Friday fun sure looks fun Black! Y'all watch out for storms today! Awww, and I linked this post to Feline Friday. So cute. You sure know how to have fun, handsome Black! And that pot looks so cozy. Can we join you? Purrs! We love fun loving Mancats! You sure know how to have a party, Black! Happy Friday! Those plumes look like a lot of fun! Shredding pampas grass and shredding tp probably feels the same... with the added bonus of the grass smelling so good of outside smells. You are very smart and handsome, Black! What a handsome boy! We bet the toilet paper started it! Dansig is a fully grown man cat and he still loves to shred toilet paper when he can get to a new roll in its wrap. Enjoy your nap spot! Angelique likes to shred too. TP is the purrfect cat toy! Have a lovely day! What a fun guy Black is! You sure know how to enjoy the day, Black!